During the iPhone 5 event, Apple gave a sneak peek at iTunes 11, scheduled for public release a month ago. 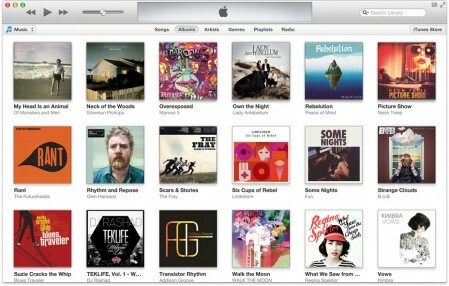 After facing a month’s delay, the eagerly awaited iTunes 11 is finally available for download. The new iTunes is probably the biggest revamp the application has ever received, with improved playlist creation, and new library views, which give your collection a smarter look. Also, Apple has increased the iCloud integration: now your purchased music, movies and TV shows will be available inside your library, no matter if you’ve downloaded them locally or not — a bit like iTunes match, working with purchased iTunes content. The iTunes store has been redesigned, as well, and got a well-deserved visual refresh. When you choose album artwork, it will automatically expand and show you the track listing, and it also features a quick link to the iTunes Store where you can browse for related content. iTunes 11 is available as a software update in the Mac App Store.